and rate-payers should be able to maintain this advantage. We're being pretty stupid as a society when two renewable energy sources fight each other instead of fighting fossil fuel. The point of installing renewable capacity is to reduce carbon emissions, not to take advantage of tax breaks, however nice that is. And the point of power administrations and utilities is to provide reliable power at as low a cost as possible. For-profit administrations have to make money as well. Federal regulators ruled against the Bonneville Power Administration last winter for choosing hydroelectric power over wind and other energy sources during high river flows in 2011 that resulted from above-normal late-spring runoff (Earthtechling). 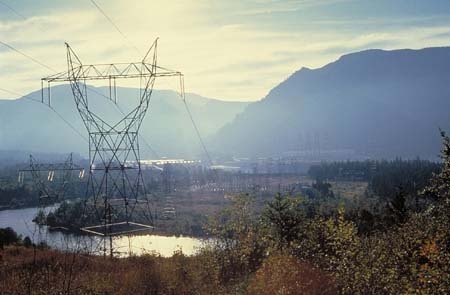 BPA serves the Pacific Northwest and the huge amount of hydroelectric in this region makes Washington State the leader in providing renewable energy. 70% of the state's electricity needs comes from renewables, mostly hydro with several percent from wind. Coal and gas provide only about 16%, and nuclear about 8%. Like wind, solar and nuclear, hydro is a renewable energy source that does not produce any carbon emissions once built, so not using it when river flows are high, and it's essentially free, is a little strange. Unfortunately for wind operators, they only receive their production tax credits when they are generating electricity, highlighting the importance of tax subsidies for wind power to be cost-effective. BPA opponents, Iberdrola Renewables and the Oregon Public Utilities Commission, charged that BPA was only acting to increase its profits. However, BPA also ramped down nuclear losing much more power than they did with wind, and BPA makes even more profit on their nuclear generation. They also ramped their coal and gas generators down completely. Generally when rivers run high, power administrators like BPA cut all other generation sources because spilling water over the dams is usually not a good thing. Besides losing free power, spilling increases the total dissolved gas levels and turbidity in the river water (BPA Oversupply Protocols). The FERC rejected this argument, stating that BPA's choice "significantly diminishes open access to transmission." But the wind operators built these wind farms so they could make a profit off of the tax credits knowing full well the area was already dominated by another renewable source, hydro. Since both wind and hydro are renewables, BPA would rather utilize hydro when it has so much water flow rather than the much more expensive wind power. Why is this wrong? Energy costs are very low in this region exactly because of hydro, and rate-payers should be able to maintain this advantage. But this fight misses the bigger point -- why are we building wind in an area already dominated by hydro when we are supposed to be replacing coal and gas with alternative sources? Building wind under these circumstances squanders whatever benefit to global warming comes from low-carbon sources since replacing hydro with wind, or vice versa, does nothing to lower carbon emissions, but wastes precious construction resources. This fight is part of a larger underlying issue called load-following, or balancing, on the grid. When renewable energy's power output fluctuates, high or low, something has to compensate to prevent grid-crisis which is the excessive frequency and voltage deviations that cause brownouts, blackouts and overloads. Utilities and power administrators have to constantly adjust source input to keep the grid stable and provide sufficient power at all times. Natural gas is the usual balancing source as it is the only one that can be ramped up and down quickly, even though it is very expensive, and the adverse effects of the increased inefficiencies and additional turbine wear are controversial. But competing renewables against each other is dumb. With increasing mandates for Renewable Portfolio Standards on the rise, it is critical that we plan better how to build renewables into our mix and avoid these kinds of silly conflicts.